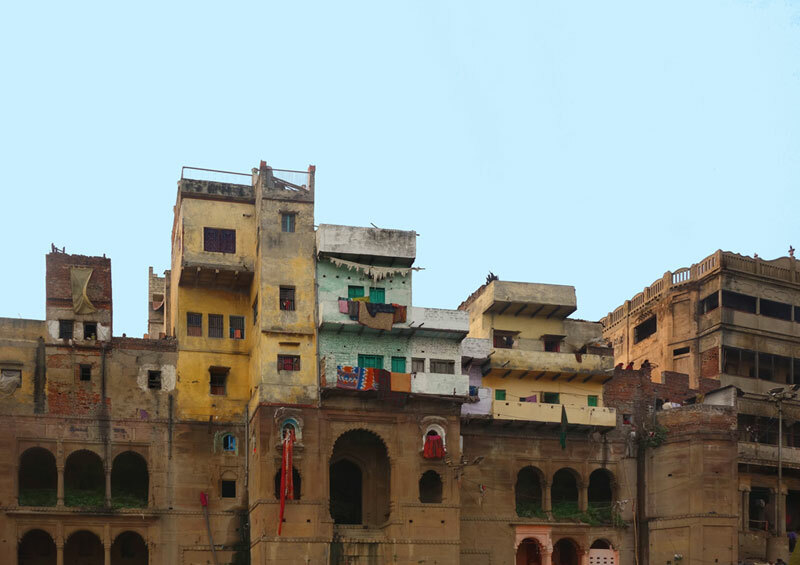 A melting pot of cultures from India and beyond, the architecture of Kashi reflects diversity in construction, pattern and detailing. 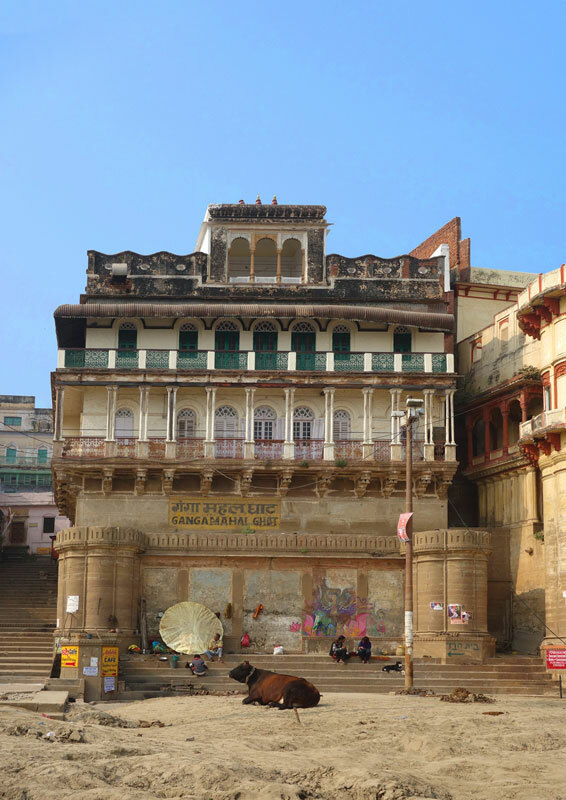 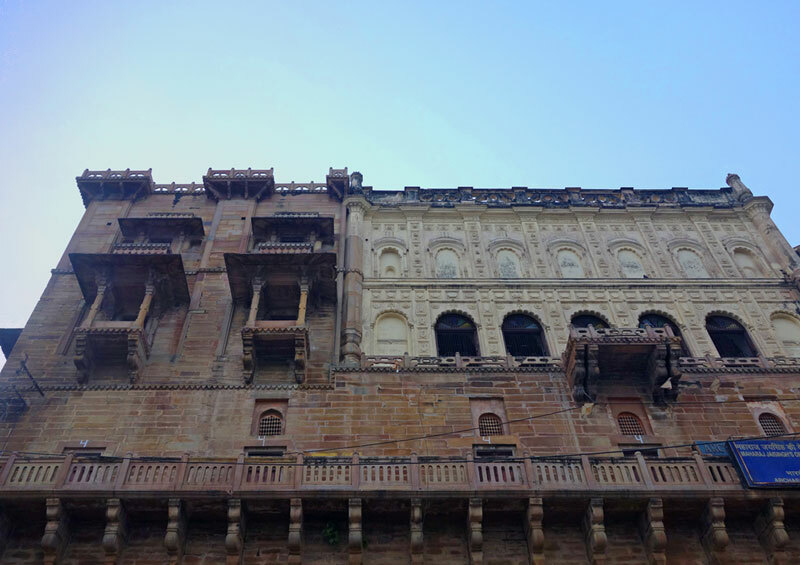 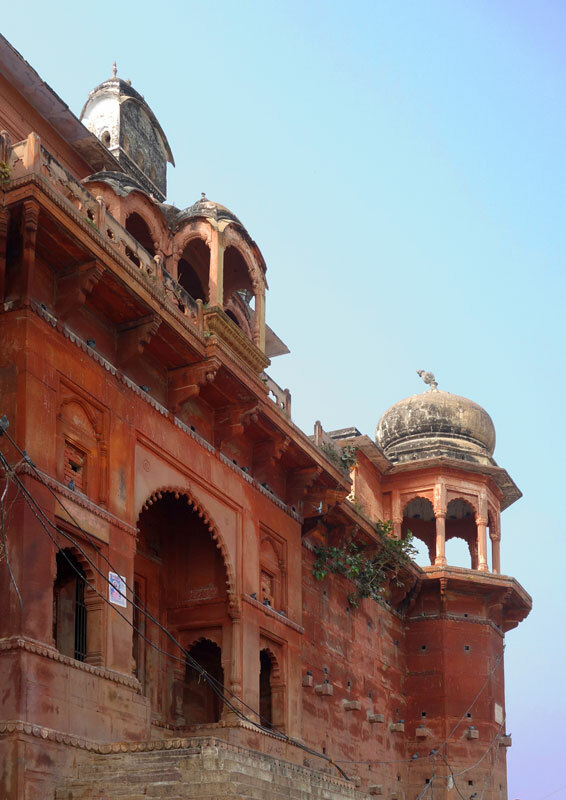 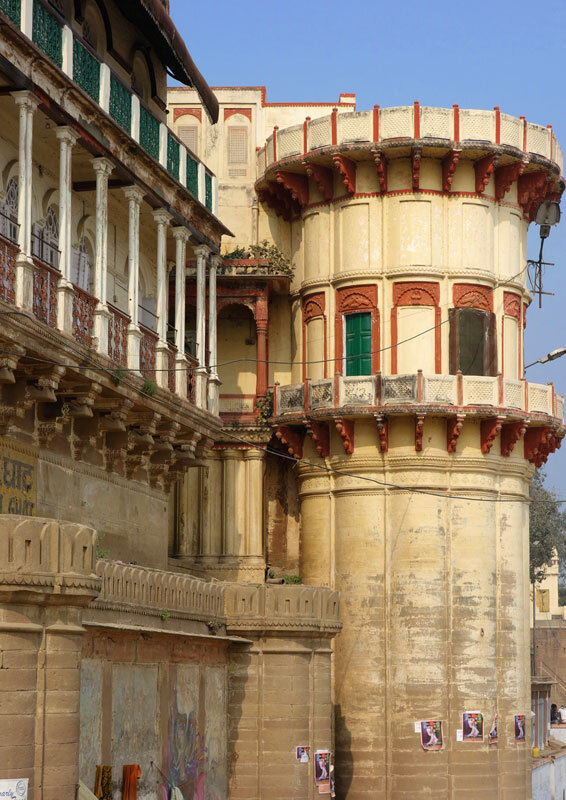 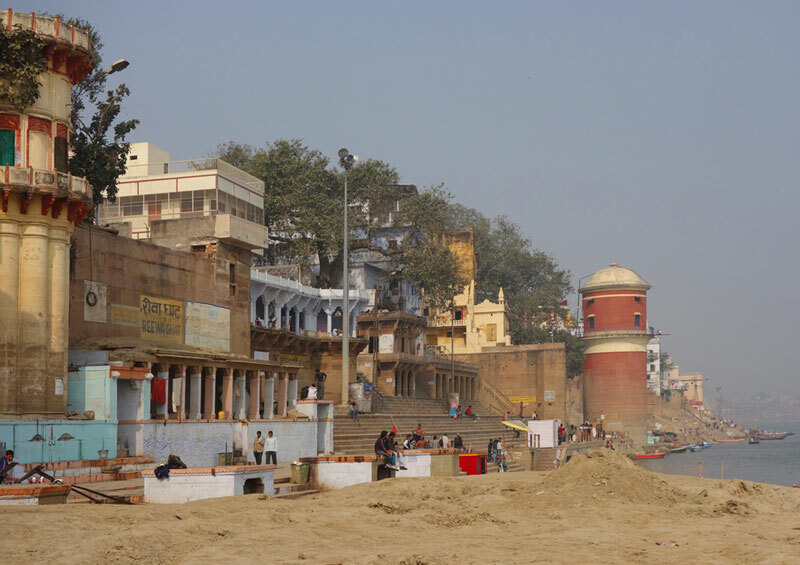 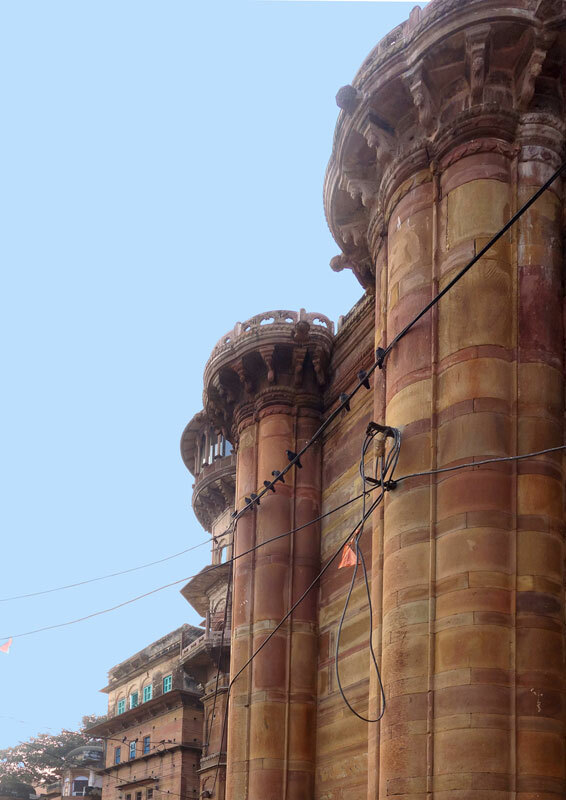 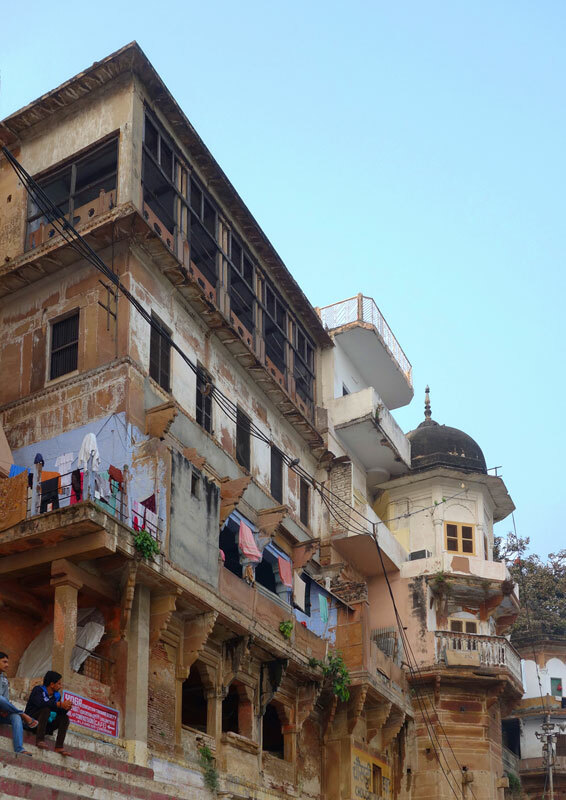 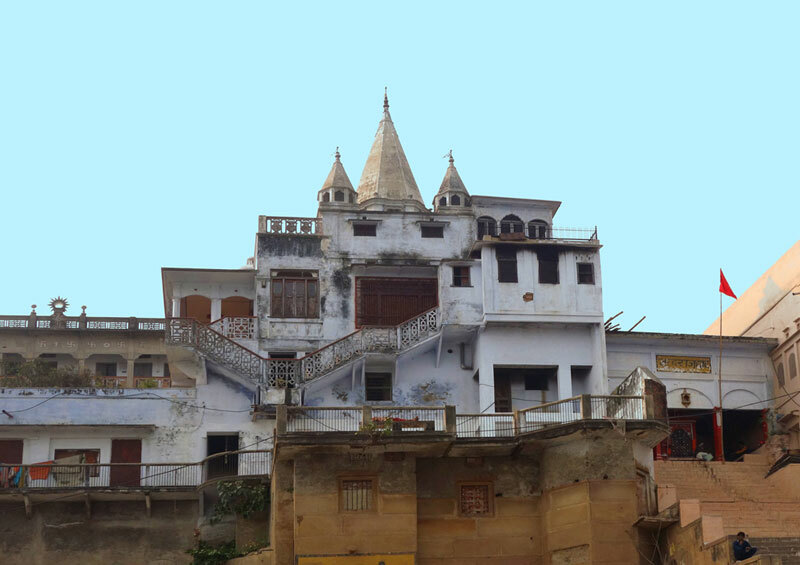 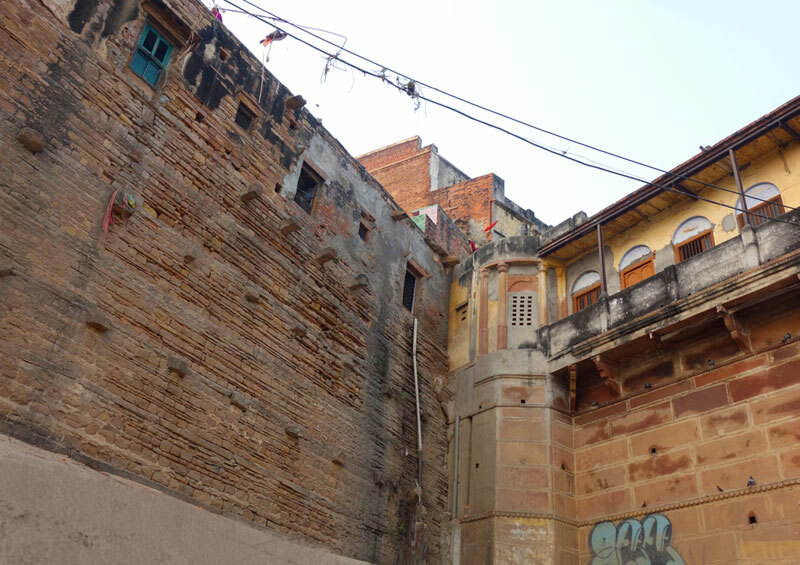 Ancient buildings falling to ruins, strong - proud pillars, traditional balconies, red brickwork, connected congested lanes, intrusive modern buildings, soot covered temples and carpets of ash is what welcomes you to the Land of Spirituality; Kashi. 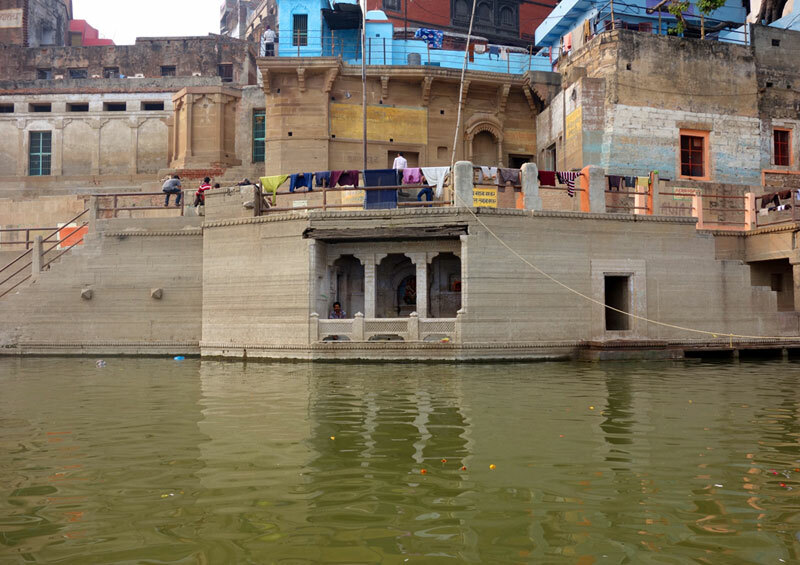 The course of the River Ganges has lent itself to the step like constructions of the Ghats. 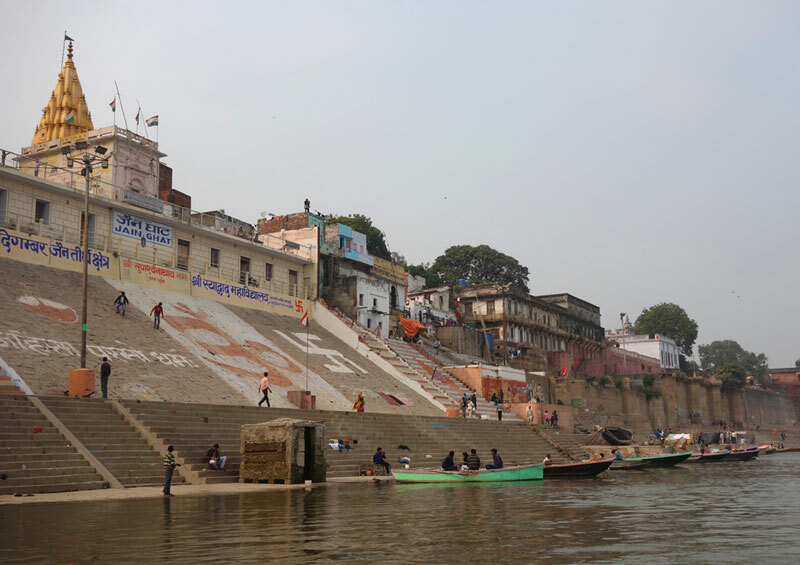 For all the creatures that can be found on the Ghats of Kashi, a popular doha say…“Rand, Sand, Seedi, Sanyasi, Inse Bacche to Sevai Kashi.” In this saying Kabir is credited to have said that, “Widows, bulls, stairs and saints, escape them all to reach salvation (or Kashi)”. 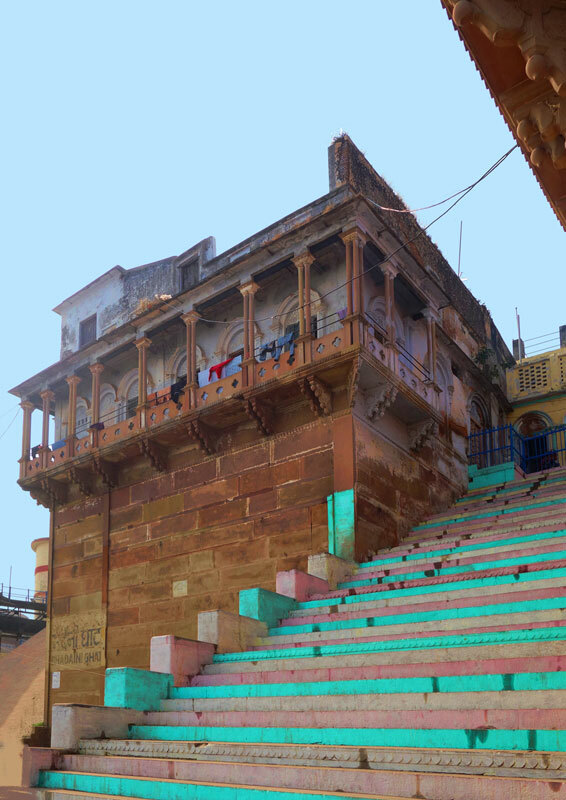 With this status of being used often as an adjective, synonymous with liberation another popular phrase is Karvat Kashi also known as the final sleep. 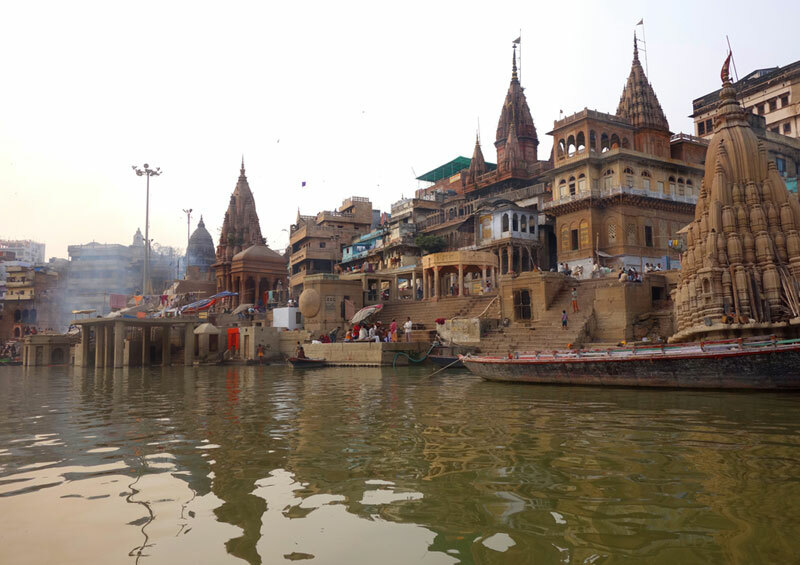 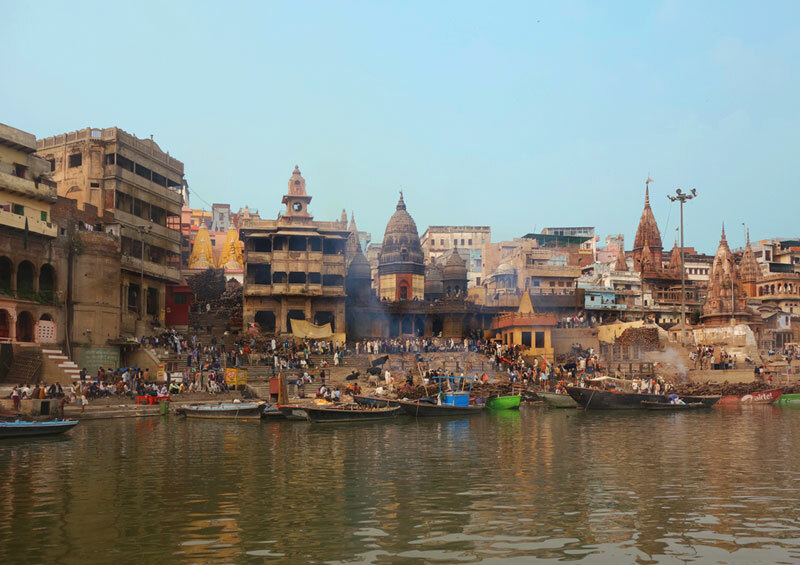 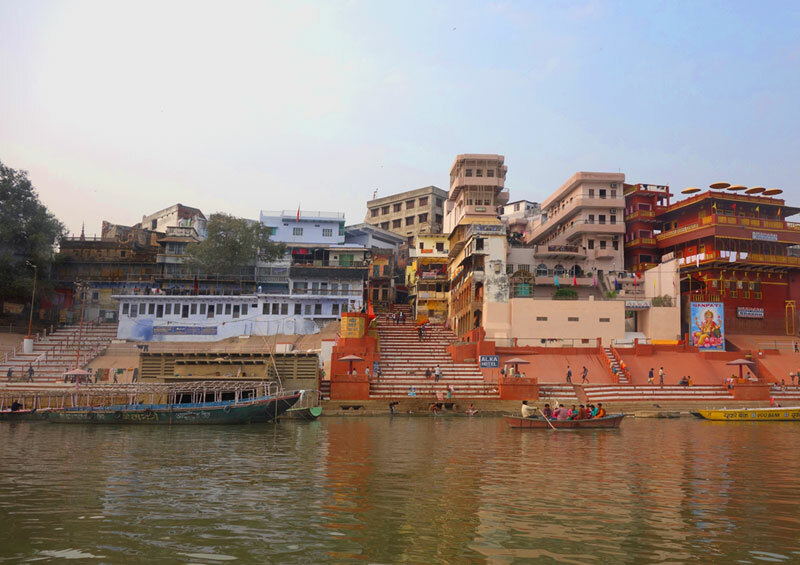 It is a belief that people travel here from far off places to finally end their lives, in the Karvat Kashi temple located in the vicinity of the Vishwanath temple complex. 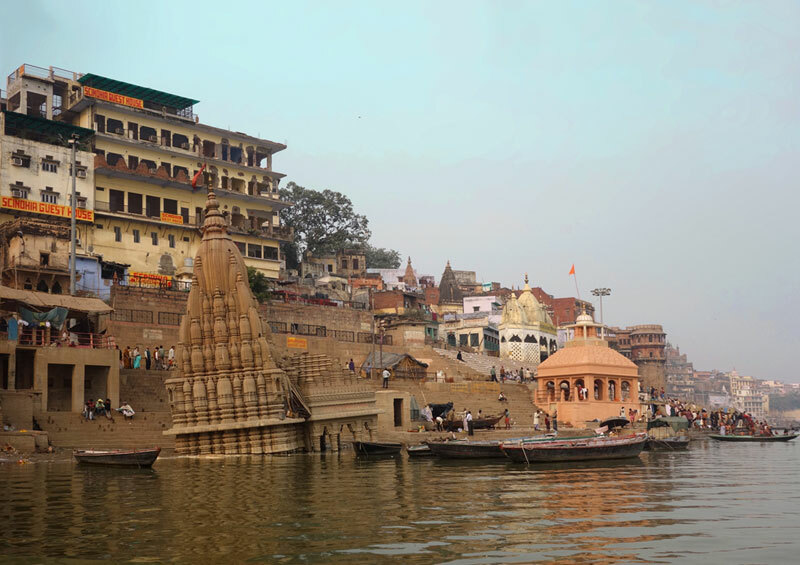 However, in recent times the term Karvat Kashi has been used popularly to describe a bent temple (karvat, meaning bent) located on the Ghats. 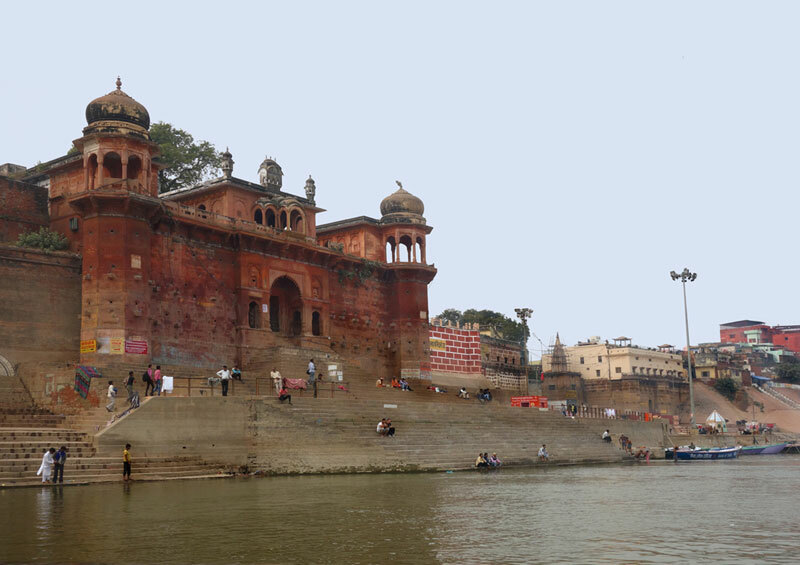 Most of these Ghats have been built during the rule of the Marathas, while some however were built over the ages. 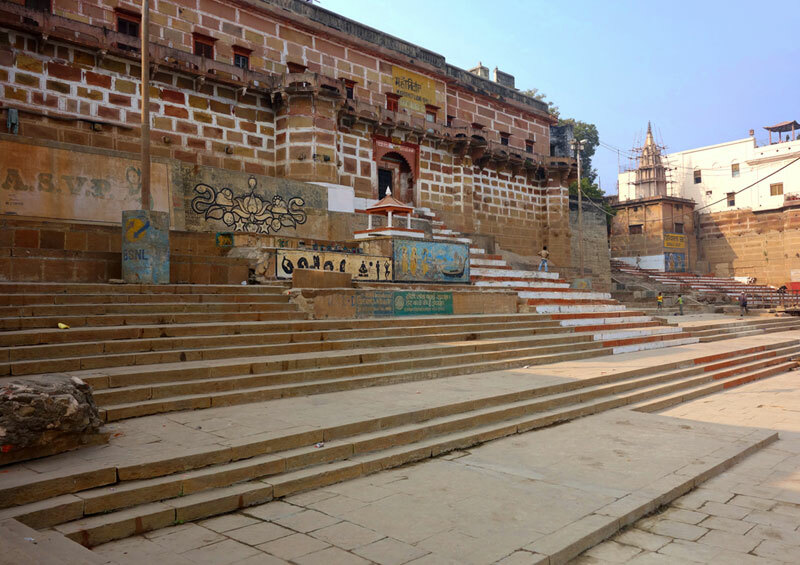 Special stories linking lineages, mythologies, epics and the timelines of history are associated with each of the Ghats. 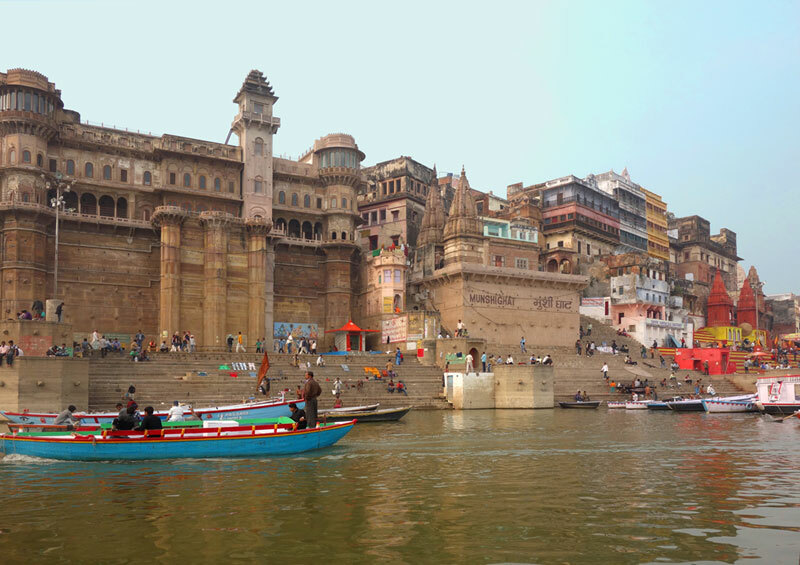 Over 80 Ghats that line the River Ganga; each unfurls a different style of architecture. 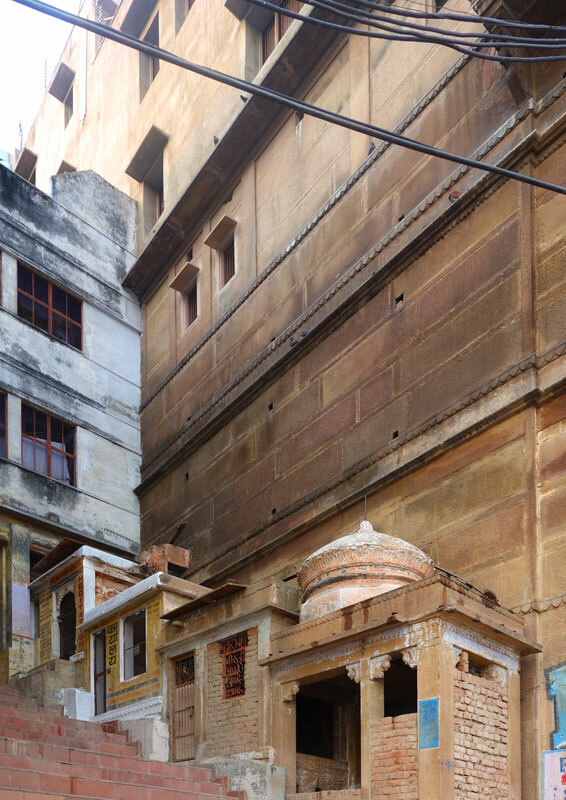 Old houses, palaces, ashrams, ornate temples, haphazardly built homes can all find a space amidst the never-ending, horizontal Ghats. 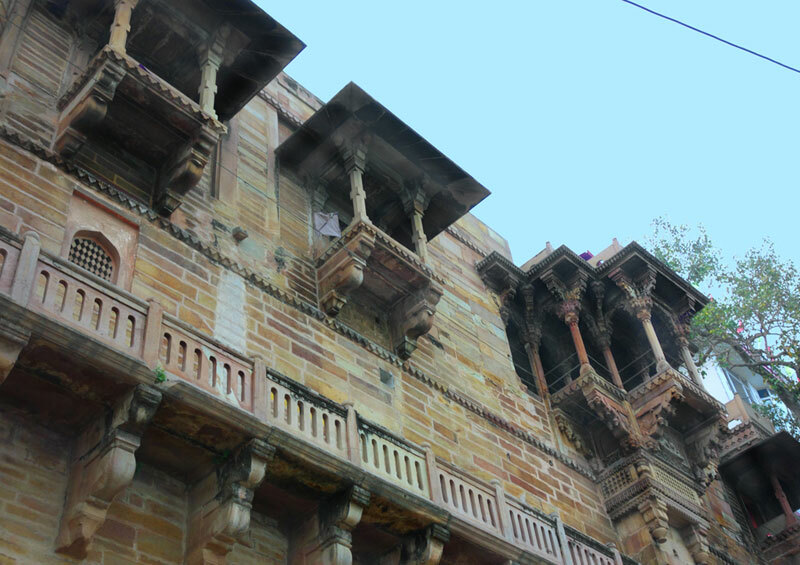 In a sweeping glance it is but natural to overlook the fact that the Ghats are connected with stone steps leading down to the River or up, towards the street side markets; the pillared balconies with intricate jali work, the small niches for windows or shops that go unnoticed, painstakingly stone carved window supports and forgotten buildings with creepers crawling out from the porches. 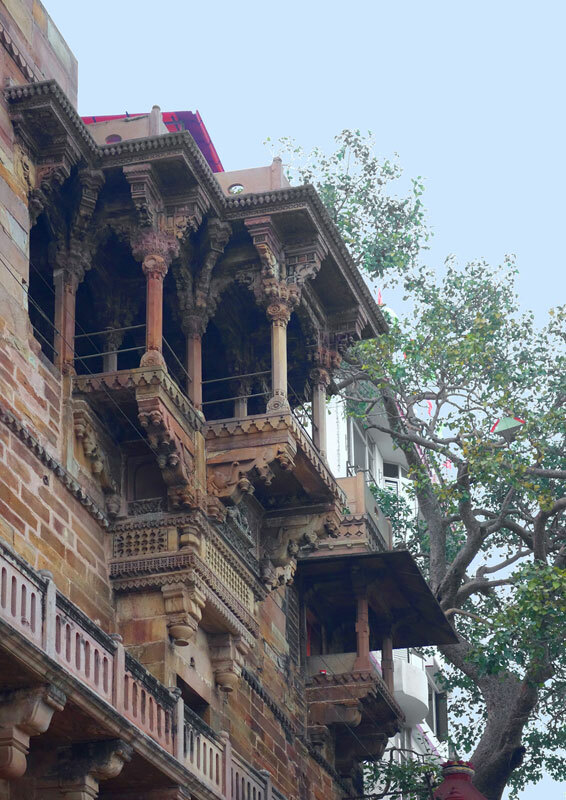 Certain types of interactions amongst people, are expected from this architecture. 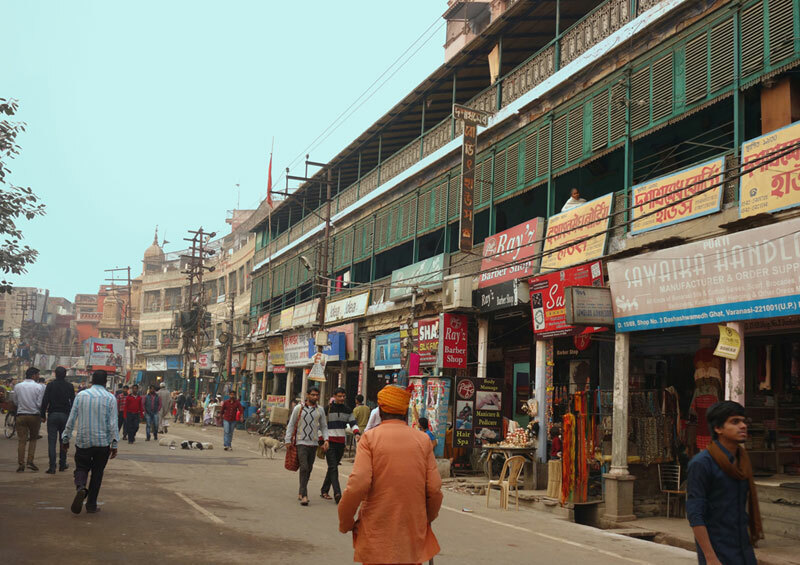 Unending walks, or bathing rituals, conversations over Banarasi chai - amidst travellers from Korea, Spain and Czech with the boatmen, early morning siesta's, contests of kite flying, chanting of prayers, songs of the boatmen, clicking pictures, catcalls and gambling form the pulse of the peaceful sunrise over the Ganges.